Highlights Escape the winter blues with this relaxing photo itinerary. This is a great trip to pin down those skills necessary to allow your underwater photography to progress. A trip like this gives enormous freedom to try out things repeatedly, and this is the best way to ensure that the learning sticks, and with every little milestone your confidence will grow exponentially! Are you looking to shake off those winter blues? Then why not come along with Mario on his Winter Warmer™ getaway to the Red Sea for some much needed winter underwater photography! This is a dedicated a photo itinerary in the Northern Red Sea and we have hand picked a select number of key sites to enable you to gain maximum time at locations that are the most photo friendly. The Northern Red Sea in undeniably a great place to practice your skills, and on this itinerary you will learn how to shoot successful macro, wide angle, strobe and available light shots. You will be able to dive in time and time again to work towards getting exactly the shot you want. Break the bleak mid winter and discover how to get the most from each and every photo opportunity. This trip will focus on the fundamentals of underwater photography - no matter how much experience you have, getting the basics right matters. If you are newer to underwater photography, we will cover proper camera set up, available light photography then moving on to using strobes and using lenses and strobes will be your goals. If you have progressed through the initial stages in your underwater photography already, then you might want to experiment, setting up specific shots and co-ordinating with models, or try some experimental stuff like mixed flash with slow shutter speeds, or time-lapse or long exposure shots. You may already be an experienced underwater photographer and want to hang out and dive with others of a like mind and have the freedom to pursue your own specific goals. This will be a great all round trip, suitable for all abilities, and Mario will be on hand morning, noon and night, dishing out any help and advice you might need. Once you've taken the shots you will probably want to tweak and edit them so most evenings there will be assistance with using Adobe Lightroom and Adobe Photo shop to make the most of your digital creations. One of the big diving highlights on this trip will be an extended stay on the Barge - you could not custom build a more suitable site for underwater photographers! Centred on the fragments of a broken up barge, this place is teeming with schools of fish, many types and sizes of moray, and nudibranchs galore. And the night dive is not to be missed! Around the barge are additional dives such a the Ulysses and Bluff Pint. Dive from the boat again and again or get in the RIB for a fresh scene. Give photography in the "golden hour" a go underwater, and create some dappled light shots. The plan is then to move via the Kingston and the Thistlegorm, and make our way over to the Straits of Tiran, and here you can put into practice your freshly honed skills on the lavish coral gardens that await. Gordon is a great dusk dive, but for many it is the lazy day at Jackson that is the most rewarding of Tiran's sites. En route between sites you may dive in Ras Mohammed or at the Dunraven. One of the big advantages of joining a dedicated photo itinerary thw Winter Warmer™ is the flexibility! Our on board pro Mario will usually opt to focus on an area for multiple dives. Depending on how the shots are going and how much divers are enjoying a site, you will have the chance to repeat dive sites - shoot the same subject in different light or go back in and try again those shots that were not quite picture perfect. You might not cover as many dive sites in a week but the chance to repeat sites means you can really hone shots you are proud of. 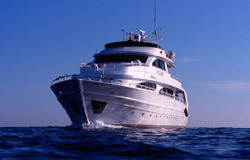 Marios Winter Warmer™ trip will run for 7 nights with 7 nights spent on board your liveaboard. After the boat permissions are sorted, the boat will depart the next morning and the check dive will be made. Shaab el Erg is one of the best check dive sites we know, and many a diver gets face to face with dolphins here. Gubal will be a focal point for this itinerary as it offers both outstanding wide angle opportunities as well as brilliant macro finds. There are several sites but one of the most popular for photographers remains the barge. There is not much of a wreck but it remains a focal point for marine life. And boy is it big in this area! Giant morays, scorpionfish and lion fish all prowl. Cardinals hang at one end (look for the eggs in the males' mouths) and damels protect their eggs. The nudibranchs are fat and you can even find stone fish. Other highlights include the reef at Bluff Point, usually a gentle drift dive, and the Ulysses wreck, which is photogenic 19th century relic. These are two wrecks that photographers love and for very different reasons. The Kingston is an undeniably pretty wreck, sitting on a gorgeous hard coral reef, in shallow depths. You can spend a whole dive here working your way round the broken up top section or inside the main structure. Or head off the wreck for plenty of chances to shoot smaller stuff. There is also a friendly resident turtle. The Thistlegorm needs little introduction and this Second World War casualty is photo heaven. Morning, noon or night you can either focus on the outer sections or head inside the holds to snap the unique cargo. Backscatter can be a challenge inside the wreck but it is an ideal place to get those strobes working. The decks and surrounding sea bed are littered with interesting features. The tender wagon is great for photos. Or why not drop off the bow to snap the anchor? The options are endless here! Few coral gardens are as colourful and picturesque as those of Jackson reef. A true highlight multiple dives here are a photographer's dream come true. From the hard corals to the soft corals gently wafting in the current, you never know what you will find here. Jump in and enjoy! Jackson is not the only big name reef at Tiran. Gordon makes for a great afternoon or night dive. The schooling clouds of banner fish are not to be missed. Take a gentle drift along Thomas reef, exploring the cracks and sea fans. Due to the distance to travel, the boat will offer dives at either the Giannis D or Carnatic (Abu Nuhas wrecks), Dunraven and Shark & Yolanda. You will normally leave the boat after breakfast on your last day and be transferred to a hotel for the day. Your final transfer will take you to the airport for your return flight home. Please do speak to the travel consultant at the time of booking to confirm the exact last day arrangements.